“The Lost Boys: Hard-To-Find ’80s LPs” gives you exactly what the title implies: a rare or out-of-print album or EP from the ’80s in its entirety. Some will be from CD, but most will have been lovingly transferred from pristine vinyl culled directly from the Analog Kid’s vast collection. Whatever album I choose, it will be one that you can’t easily find for sale on Amazon or in the iTunes store. Death…by stereo! 1985 was the year that I really discovered The Who. I bought my first two Who albums in the spring (Live At Leeds and Greatest Hits), and over the summer I acquired budget MCA cassette versions of Who’s Next and Who Are You. By the start of my freshman year at UT-Austin in August, I was almost obsessed. I spent the better part of that school year acquiring the entire Who catalog, including some of my very first CD purchases (It’s Hard, The Who By Numbers, and Tommy among them). The Who may have officially disbanded after their 1982 Farewell (ha ha) tour, but they were now my favorite band. I couldn’t get enough, and thankfully both Roger Daltrey and Pete Townshend put out great solo records in 1985 to help supply my fix. 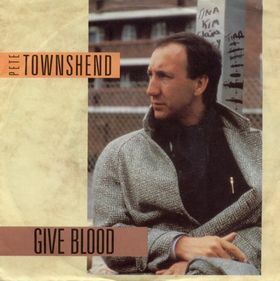 Townshend had written “After The Fire” for The Who to perform at Live Aid during their one-off reunion show, but the band didn’t have time to learn it. 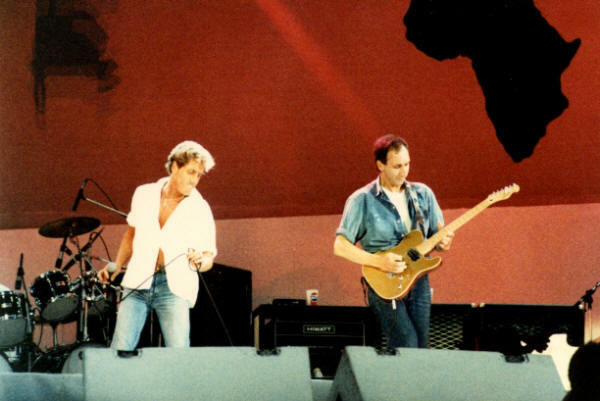 Townshend gave the song to Daltrey instead, and “After The Fire” became one of Roger’s biggest solo hits. 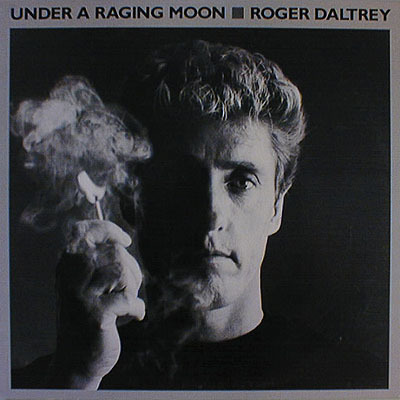 Daltrey had intentionally stayed away from aping The Who’s sound on his prior solo albums, but he fully embraced his rock and roll heritage on Under A Raging Moon. The result was the best solo record of Roger’s career, and I assure you that my neighbors on the third floor of the Dobie dormitory still know most of the songs by heart. 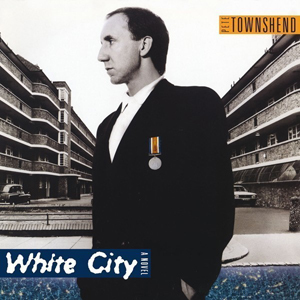 With White City: A Novel, Pete Townshend continued his long history of writing concept-based albums. Unlike Tommy or Quadrophenia, though, there was no real narrative to White City. The album’s songs simply represented different sketches of life in White City, a low-income housing area located in West London. 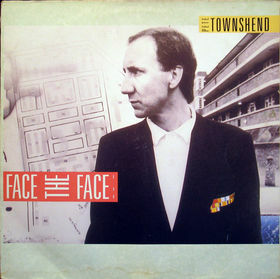 “Face The Face” became one of Townshend’s most-popular solo songs, and David Gilmour’s guitar work helped elevate “Give Blood” and “White City Fighting” to near-classic status. For me, “Brilliant Blues” and its melancholy goodbye to Daltrey and The Who will always hold a special place. I had just arrived at the party, and the damn cops had already busted it up. Like most of Pete and Roger’s solo outings, Under A Raging Moon and White City: A Novel are currently out of print. Perhaps there’s an 18-year-old down in Austin right now who is discovering Townshend and The Who for the first time– if that happens to be you, welcome to the camp. I guess you all know why we’re here. Posted by The Analog Kid on January 24, 2014 in Rock, Soundtrack and tagged After The Fire, Analog Kid, Face The Face, Pete Townshend, Quicksilver Lightning, Roger Daltrey, The Who, Under A Raging Moon, White City. Man, I was JUST listening to White City last week, weird. Great album, Secondhand Love is probably my favorite. Unfortunately only have it on cassette, quality is horrible (top end is non-existent, I was looking at my rooskie mp3 shop to get a decent copy). The Deep End video with Gilmour is off the hook. Never much of a Daltrey fan solo, except for McVicar (which I think you talked about a while back, that album I love). I take that back, his first solo album is pretty good, I remember when you could hear “Giving It All Away” on FM radio, and his version of “Avenging Annie” is nice as well. I’ve got a couple of mp3s from Raging Moon, but not the whole album. I’ll give it another try. I always liked the fact that Daltrey didn’t try to do Who-like songs on his solo LPs (McVicar being the exception, although Pete & John were involved so it couldn’t be helped! 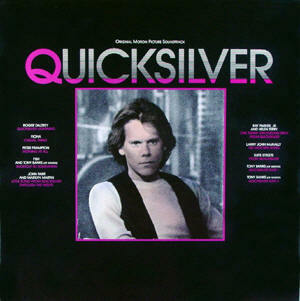 ), Raging Moon isn’t a great record, but it’s a solid 80s rock album and Roger’s voice sounds really good. Listen to the title track if you’re not familiar with it– it’s a great Keith Moon tribute with a load of famous drummers in the middle section (including a very young Zak Starkey!). Let Me Down Easy is also a really good cut (written by Bryan Adams and Jim Vallance). Robbie McIntosh is the primary guitar player on the record too! Thanks, I will give it a try. 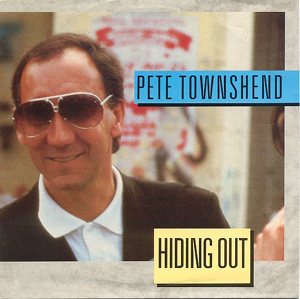 Was just watching the Pete Townshend Deep End video on youtube, forgot he did a version of “After the Fire”. Loved McIntosh with the Pretenders and Macca’s mid 90’s band, so yeah, sounds interesting. What is it about The Who for some people? I liked a few bands and a few albums before The Who showed up, but when I found them it was like I’d found the house band for my life. When I meet old friends from high school, they’ll invariably ask, “Still love The Who?” because that love so wholly defined me at sixteen. When I saw them for the first time in ’82 (the “farewell tour”, cough), I can remember walking up the steps of the Brendan Byrne Arena in complete shock: I was on my way to see God, and he was strapped with a Telecaster. Flash forward to 2000-something, and I’m headed to check out The Who with my pal at Madison Square Garden where they’ll be playing Quadrophenia in its entirety. Now my teenage self would have sawed off my leg to hear such a concert, but the years have passed, I’m married and no longer have that blind teenage adoration for any of my old heroes. I figure I’ll like the show, but the old passion definitely won’t be there for me… But by the time they got to “Sea and Sand” I was literally welling up, completely transported, and remembering why this band once owned a part of my soul. I realized it was still in Pete’s back pocket, exactly where I’d left it all along. Leo, you and I definitely need to meet up for some beers someday! I assume you’re going to see The Who later this year? For now, I’m going in Dallas and Austin but might try to add another show or two. The set lists are simply AMAZING.